With an abundance of outdoor activities, Virginia Beach is a haven for adventure seekers and nature lovers alike. With miles of interpretive trails perfect for hiking and biking through nature preserves, state and city parks, and miles of white, sandy beaches, we’re always looking to lace up and hit the ground running. Here are a few of our favorite trails to explore in Virginia Beach. 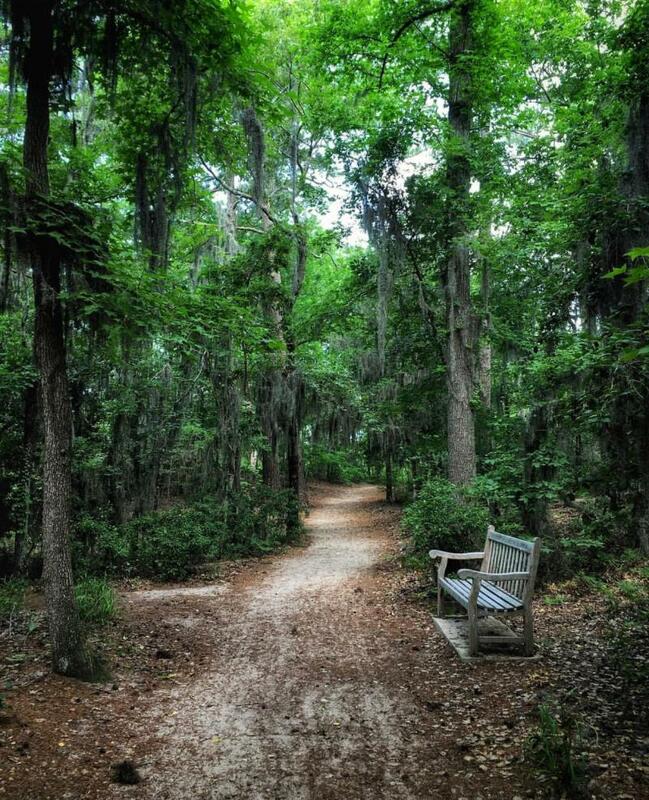 This six-mile trail is the longest trail within First Landing State Park, stretching from the park’s northern border to southernmost entrance off of Atlantic Avenue. Accessible to both hikers and bicyclists and running parallel to Shore Drive, the Cape Henry Trail passes through an old-style beach neighborhood where salt boxes sit comfortably next to contemporary renovations. The flat trail, shaded in places by pine and live oak trees, is perfect for avid bird watchers as you’ll see osprey and egrets, and maybe even an elusive eagle. The trail heads through the park, past the beaches of the secluded narrows, and connects at the northern tip of the Virginia Beach Boardwalk. The Virginia Beach Boardwalk was built with cyclists and walkers in mind. With separate biking and walking paths, cyclists can ride their beach cruisers along the coast without having to dodge pedestrians or cars. For a classic Virginia Beach adventure, rent a four-wheeled surrey bike and work as a team with your entire family as you pedal full-steam ahead. With rental stations all along the boardwalk, you can come right off the beach and hop aboard. The 3-mile long Boardwalk is also our favorite place to break out our favorite beach cruiser bikes. You can even find tandem beach cruisers for a more challenging cooperative experience beside the beach. 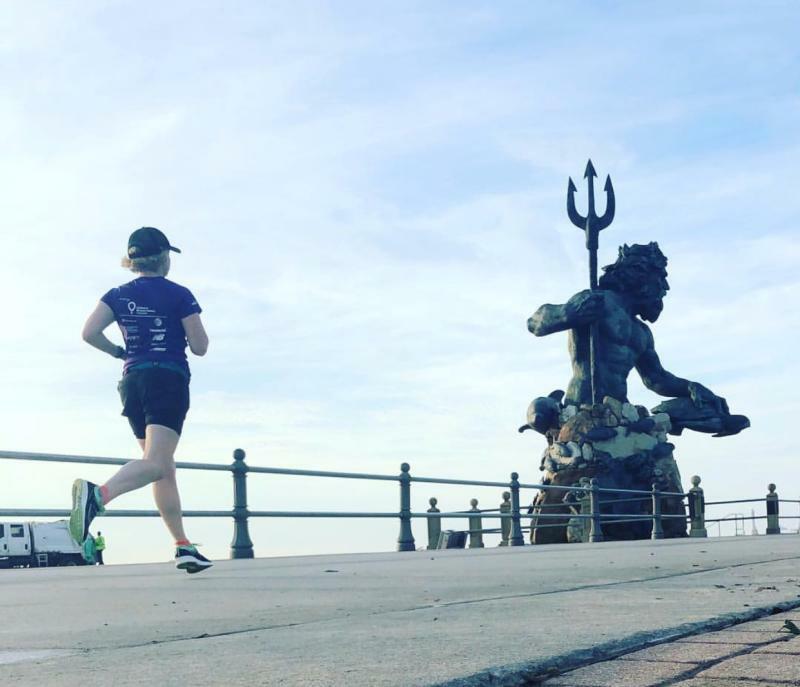 Whether you opt to ride the entire length of the Boardwalk or just ride your bike from stop to stop, this is one of our favorite Virginia Beach experiences. With 15 hiking and biking trails, varying in length and ranging from easy to difficult, there are many ways to explore one of the last remaining undeveloped areas on the east coast in False Cape State Park. The longest, and most difficult trail, Sand Ridge Trail, is 6.2 miles and takes both hikers and bikers from near the entrance of the park all the way down to the North Carolina state border. For the dedicated outdoorsmen, we’d also recommend navigating the entire 15.3 miles of trails in the park, where you will experience beaches of both an ocean and a bay, dunes, maritime forests, marshes, and wooded swamps, all in one visit. 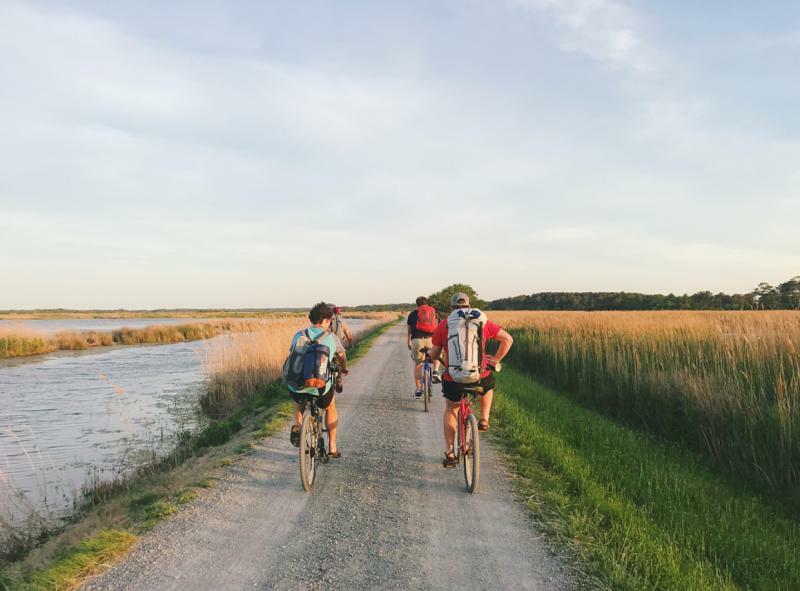 Virginia Beach has more than 100 miles of bike trails, but the Pungo bike loop is a local favorite thanks to limited traffic and unbeatable views of vineyards, strawberry fields and waterways. For the newbie just getting started in cycling to the seasoned century rider, this bike loop is best enjoyed starting and ending at Red Mill Commons area. Make sure to carry enough water for this 19.84-mile loop, as the first water stop is over 15 miles into your ride. 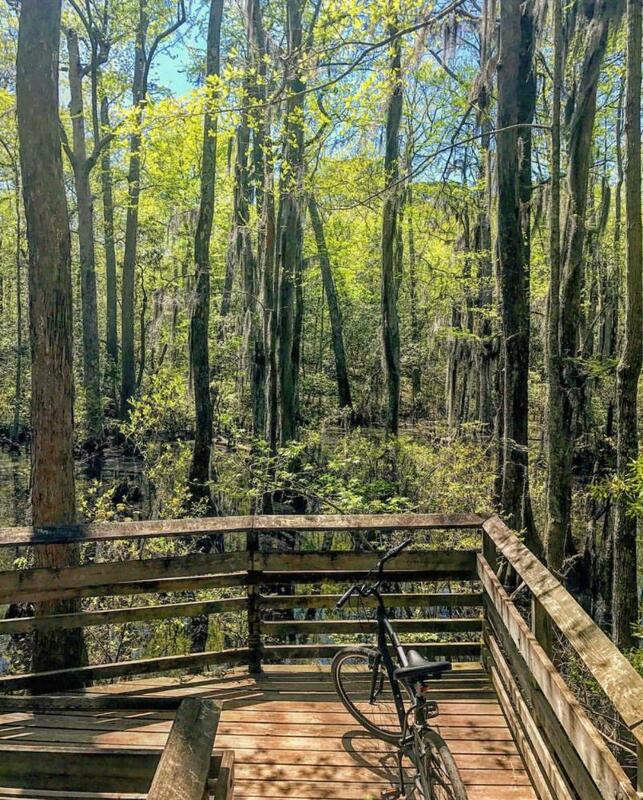 For a scenic hike through the enchanting cypress swamps, Bald Cypress Trail offers a 1.6-mile loop, including several boardwalks and platforms overlooking the low wetlands, making for several great photo-ops. This trail features an abundance of wildflowers throughout and is ideal for all experience levels. Dogs are also able to use this trail while on a leash. The trailhead is located at the park’s trail center, accessed through the south entrance off of Shore Drive, which is the main hub for accessing the nine interpretive trails running through First Landing’s seven distinct ecosystems.